If you’ve read our review of the Fujifilm X100 digital camera you’ll know how much we love this little wonder. Well now we know how beautiful it is on the inside too. After a fishing trip, photographer James Maher found his gear soaked in salt water in what was supposed to be a dry container. This unfortunately also included his trusty Fuji X100, which is not weather sealed, and the experience proved deadly for the camera. 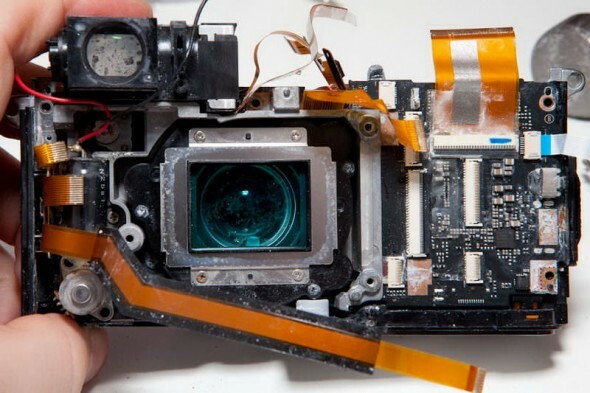 So what do you do when you have a dead $1,200 camera? You take it apart of course. 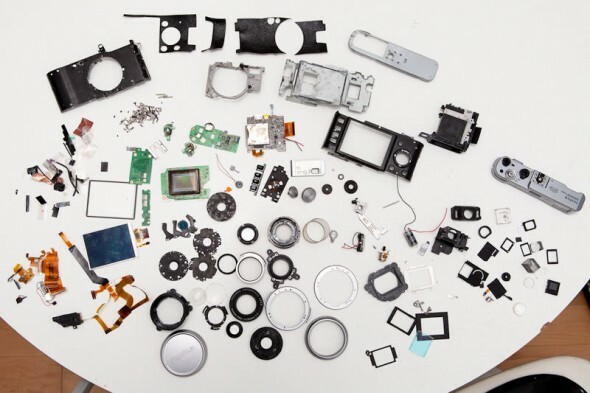 James recorded every step of the teardown process which according to his count included removing 130 screws to reveal 152 parts, at least. 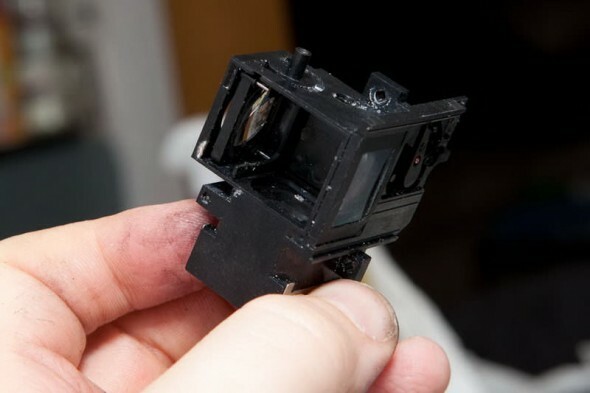 Below is a picture of the inside of the camera as well as the hybrid viewfinder, but you can find many more photos on James’ blog here.